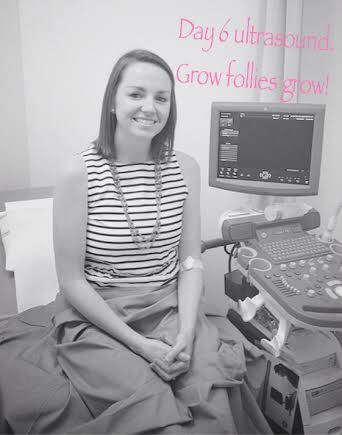 We headed to the Dr. this AM and good news, follies are growing and the party is on in the right ovary! The left…is still waiting for some more RSVP’s. My follicles will need to grow to at least 18 mm for our retrieval to happen. My right ovary feels like its going to explode and we are only at 13.5 mm. So I’m excited interested scared to see how much more bloated I can actually feel. Sleep: Slept good but woke up with a sore belly during the night. 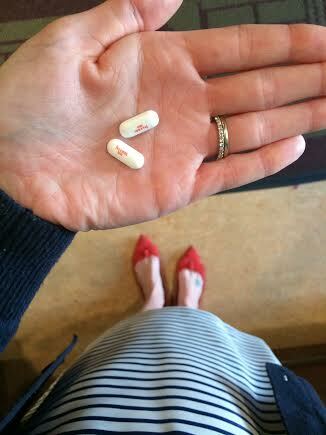 Side effects: I’m really tired. Black and blue: Yes, on my right side. Not looking forward to: The addition of a third needle tonight which according to the nurse is, SURPRISE, and I quote “a dull beveled needle that you’ll need to insert it at an angle because it hurts”. Wow, thanks lady. Looking forward to: Going to bed tonight. And this is my night cap.